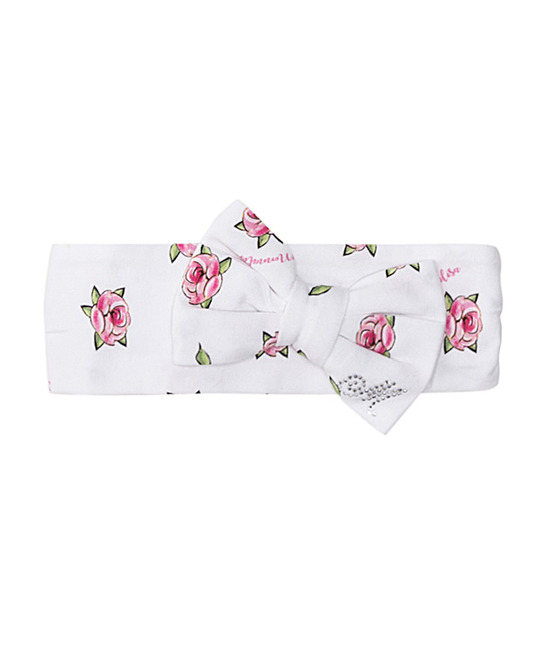 Monnalisa soft cotton white headband with bow and pink floral print detailing. 90% Cotton, 10% Elastane. Made in Italy.